There are a few moments in your life when you think – I did it! 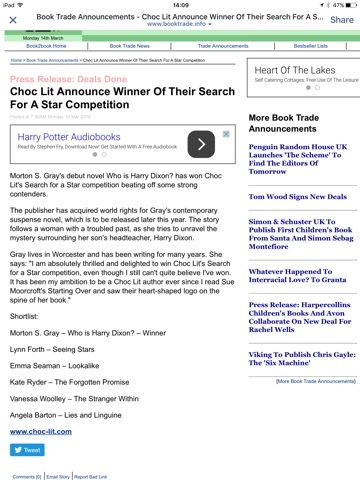 When I found out that I had won Choc Lit Publishing’s Search for a Star novel competition, I couldn’t believe it. Especially as my competitors on the shortlist, including one of my friends, Lynn Forth, write to such a high standard. At first I felt stunned, it wasn’t until I told my mother on the phone and she burst into tears, that I had an emotional reaction. Since then, social media has gone mad and I’m overwhelmed by the positive support and best wishes. Who is Harry Dixon?, my winning novel, began as a grain of an idea. I know exactly when it came to me. We were on holiday in Northumberland in July 2014 and my husband thought there was something wrong as I went so quiet in the car. The silence, after I had reassured hubbie I was okay, was followed by a frantic scribbling on the back of an envelope I found discarded in the door pocket of the car. Harry Dixon and my heroine, Ellie Golden were born! 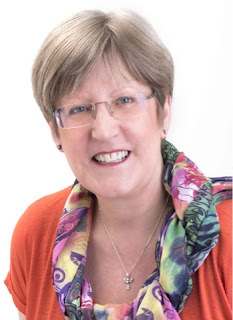 I would never have dreamed back then that huge pictures of me would be on Facebook and the announcement of my win for Choc Lit would be listed amongst the most popular stories on Book2book Book Trade information. So, dreams do come true. I know there is a lot of work ahead when I get my editorial report, but I’m finally on my way to being published. Yippee. How exciting! Many congratulations, Morton. Such exciting news! Congratulations – I can't wait to read your book! Well done it's an exciting time and welcome to the Choc Lit family! Delighted for you. Many congratulations! Thank you, Angela. Everyone has been so lovely.